Our range of products include variable speed pulleys for printing, stahl folding machine and gto single colour. 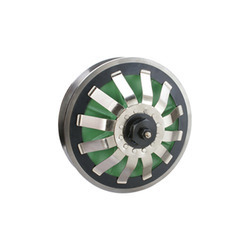 Our expertise enables us to provide high quality Variable Speed Pulleys For Printing that can convert any standard constant speed motor to a variable speed instantly, accurately and smoothly when the machine is in motion. 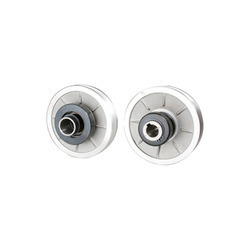 These pulleys also help in stopping the shaft instantly without damaging or giving jerk. Furthermore, these pulleys are in line without the international quality standards and accessible at the most effective prices. Swati Variable Center Drive can be installed without any modification to the Printing machine. 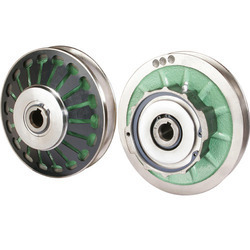 Specially made for the replacement market, the pulley is manufactured from quality graded cast iron, precisely machined on CNC turning centers, dynamically balanced. Pulleys are ready to install and use. We offer a comprehensive range of STAHL Folding Machine that is made with latest mechanism and is simple to operate. Its side walls are offered with M.S plate for less wear and tear. These machines consume less electricity and are available in S.S model. Offered range is designed for easy and accurate clamping, full length-wise bending and forming sheets. We are one of the noted organizations of GTO Single color that are designed in compliance with international quality standards. These are made in state of the art facilities by skilled engineers. These are extensively used in engineering and construction industries and can also be customized as per the clients’ requirements. Moreover, we offer these products at most competitive rates.